Violinist Justyna Lutow-Resch enjoys a multifaceted career as an educator and performer. Currently, Justyna Lutow-Resch is Associate Concertmaster of the Fox Valley Symphony Orchestra, as well as a member of the Oshkosh Symphony Orchestra and Rockford Symphony Orchestra. 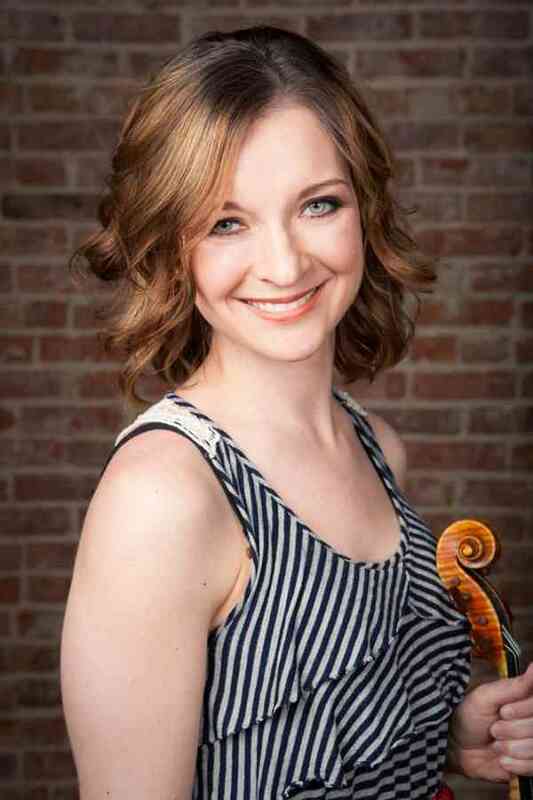 In addition, she has performed as associate principal with the South Dakota Symphony Orchestra, served as violin professor at Augustana College, taught for Harmony South Dakota, and continues to maintains a private Suzuki studio. As soloist, Justyna has appeared with the South Dakota Symphony Orchestra, the Madison Symphony Orchestra, the Worthington Area Symphony Orchestra, the Illinois Wesleyan Civic Orchestra and the Windy City String Ensemble. As an orchestral player, she has performed with over twelve professional orchestras. She has been a member of the Hunt Quartet and the Solidar Quintet, with whom she was a Semi-Finalist in the Fischoff Chamber Music Competition. She has played in master classes for Rachel Barton Pine, Keith Conant, Sharon Polifrone, and members of the Emerson, Pacifica, and Vermeer quartets. Justyna began her Suzuki violin studies at the age of ten with Elaine Duckwall and continued under the instruction of Michael Hining. She received a Bachelor’s and Master’s of Music from the University of Wisconsin under the instruction of David Perry. When not performing or teaching, Justyna enjoys spending time with her husband, Tyler, and two children-daughter Aleksandra and son Antóin.